Michelle Lu received her J.D. in 2016 from NYU School of Law where she was a notes editor for the Journal of International Law and Politics, as well as an Institute for International Law and Justice Scholar, an International Law and Human Rights Fellow, and a Robert McKay Scholar. 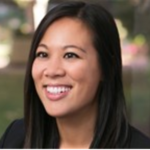 After graduating, she joined the Silicon Valley office of Latham & Watkins as an associate.